The writing’s on the wall for Arab leaders: if they want to survive, they will have to commit to real and meaningful change. THE Arab revolt is now in its fourth month and shows no signs of abating. 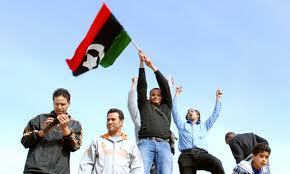 The uprising that began in Tunisia and then Egypt has engulfed Libya, Algeria, Syria, Jordan, Oman, Bahrain and Yemen. There have even been rumblings in Saudi Arabia. Peaceful demonstrations, however, appear to be giving way to more violent confrontations. Governments are increasingly resorting to violence to quell the demands for change. Citizens are standing their ground and hundreds have already been killed. The international community is faced with the difficult question of how to respond to these developments, particularly the desperate pleas from the people themselves for material if not moral support. In mid-March, the UN Security Council resolved to use all necessary measures to protect Libyan civilians from Colonel Muammar Gaddafi’s retribution after the Arab League formally urged intervention. Whenever civilians are in danger of being massacred, the international community has an obligation to override the long established principle of non-interference in order to protect civilians. The UN General Assembly recognised this in 2005 when it endorsed the doctrine of responsibility to protect civilian populations from crimes against humanity. Many countries are understandably uncomfortable with the idea of foreign intervention. Taking sides in what has essentially become a civil war has worrisome implications, and regime change, if that’s on the agenda, is best left to the people of Libya. Nevertheless, Gaddafi has brought this upon himself by the barbaric way he has responded to the demand for change from his own people. Governments, and particularly unelected ones, do not have the right to massacre their own people and indeed lose whatever little legitimacy they have when they do. It is also quite clear that this is one war the United States does not relish. After fighting two wars simultaneously for a decade and severely hobbled by an economic crisis at home, there is simply no appetite for another costly military adventure. Russia surprisingly did not exercise its veto powers in the Security Council to pre-empt intervention in Libya. Since then, however, the Russians have been screaming from the sidelines, even suggesting that it was the start of another “crusade”. Osama bin Laden must be pleased. As in most international ventures, the double standards are obvious and glaring. Western nations have invoked the responsibility to protect in Libya but have done little for civilians elsewhere in the region. US President Barack Obama even endorsed Saudi military intervention to support the beleaguered government of Bahrain which is violently cracking down on anti-government demonstrators. Bahrain is home to the US Fifth Fleet and a lynchpin in the US strategy to contain Iran. The message is clear – Western strategic considerations will always take priority over local political imperatives. No surprise there; nations invariably act according to very narrow national self-interests rather than the high principles they regularly profess. Malaysia, for its part, used the opportunity of the visit of Prince Bandar to support Saudi intervention in Bahrain. Prime Minister Najib Tun Razak even seemed to agree with the Saudi mischaracterisation of pro-democracy demonstrators in Bahrain as “terrorist-linked groups” attempting to incite instability and threaten national security. Evidently, we prefer the status quo even though it is clearly untenable. Cynics would not have failed to note that Prince Bandar came bearing gifts – USD 81 million for 1Malaysia Development Berhad and the promise of billions in new investments. The Arab revolt itself could get complicated especially if it reignites the ancient rivalry between Shi’ite and Sunni Muslims. In Syria for example, the majority Sunni population has always resented the dominance of President Bashar al-Assad’s minority Alwaites (a sect of Shi’ite Islam) in much the same way as Iraq’s majority Shi’ite population detested Saddam Hussein, a Sunni. In Bahrain, the majority Shi’ite population chaffs under the country’s minority Sunni rulers. Saudi Arabia has to contend with a Shi’ite problem of its own as well. The largely restive Shi’ite populations in Sunni-controlled Gulf states are seen as potential fifth columnists for Iran, reason enough for them to be kept on a tight leash. Many observers believe, however, that local grievances fuel much of the dissatisfaction. Iran, as always, manages to be unhelpful. Its statements in support of Shi’ite rights in the Gulf are counterproductive while its insistence that Bahrain’s Shi’ites should have the right to peacefully demonstrate flies in the face of its own crackdown on demonstrators at home. As messy as the Arab revolt has become, it must be remembered what it is all fundamentally about – the demand of a long repressed and marginalised people for change, for representative and democratic governance, and for economic development. The fact that the Arab revolt has so quickly and spontaneously erupted across the whole region shows just how widespread and deep the resentment is against the region’s autocratic governments. The long-suffering Arab masses have finally run out of patience. If the present crop of Arab leaders want to survive, they will have to commit to real and meaningful change; otherwise, they will surely be swept away by the tide of history.The prognosis is that things are likely to get worse before they get better. Freedom, it seems, is not a straight line.